I’m excited to welcome you all to my new blogging venture! You might have sensed already that it is a new blog where I’m going to share my knowledge & skills. Yes, of course!!! But, this time I’m not alone. Do you want to know, with whom I’m going to join hands for this new journey? If you’re a loyal reader of MyMagicFundas, my blogging friend or fellow blogger, then you might have known that I have been guided by a passionate, young, enthusiastic blogger, Atish Ranjan. During my initial days of blogging I had pursued this profession without knowing its real meaning but he was one who directed me towards the right initiative and taught me impressive blogging stuffs. Yes, I have got a pleasant opportunity to work with him through this blog. How the idea ‘Blogging Together” has been initiated? I have been regular to TechTricksWorld (Atish’s blog) to read its innovative blog posts, I’m the top commenter over there and have been featured there thrice as guest blogger. Apart from these, I help to drive social media traffic and always suggest some ideas to improve that lively blog. I hope that these activities were well tracked by the blog owners and might induce them to invite me to blog together. A couple of days before, I got call from Atish and he described that Blogging is an art where writing, editing, publishing and networking with audience should be done with care. He also added that he had noticed that proliferation of marvellous blogs are being run by pair of active bloggers. Then he told that would like to give a proposal for me to blog with him. I got thrilled at that moment and without any second thought, I’ve agreed to his blogging plan. I feel that it is a great opportunity to work closely with this energetic blogger as it would nudge me to learn innovative blogging skills. How Litabi will be handled? In this blog, I’ll (Nirmala) be managing the front end part & emphasizing on my ability of Online money making, social media and tech topics. Atish would be focusing on backhand technical matters & publishing posts on his fascinating subjects. Another smart hand will get united here with his financial and fundamental tech posts and he is the active partner of TTW, Zainil Dedhia. Most of the bloggers are unaware about him and so, I’d like to talk about his valor in few lines. At TechTricksWorld, Zainil majorly manages finance & giveaways; if time permits, he opts for tech posts as he is well versed in software programming languages. Other than blogging, he deals with the internet marketing business and pursuing specialization in the auditing field. So, you will get some financial aspects data along with some elemental tech posts at times! Litabi is an existing PR2 multi-niche blog with decent organic traffic. 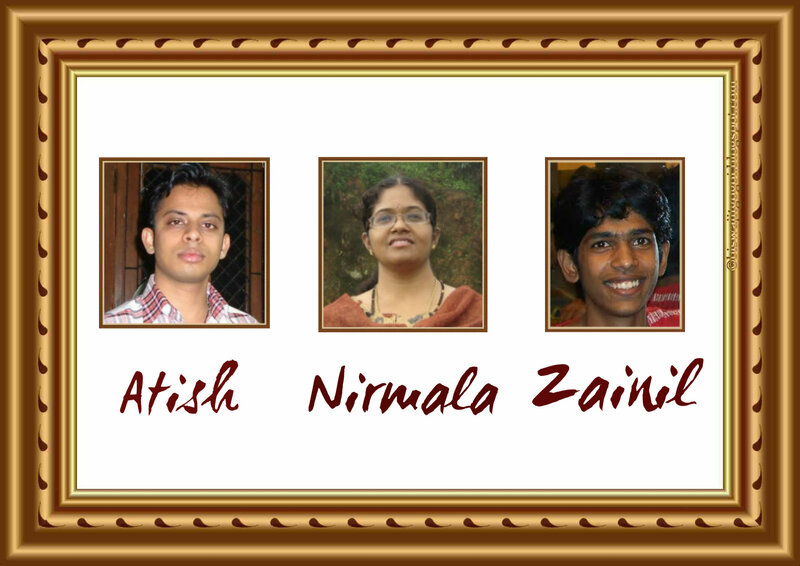 I got a great chance to work on this blog along with Atish and Zainil. We’ve decided to start working together for a productive future and I need all your support to nurture this blog. With this I am signing off my introductory note on the fresh blogging endeavour and expect the same amount of support you have been providing us all these days. Not only you, I’m also gonna learn some incredible blogging stuff from these active bloggers, Atish and Zainil. I came to know about this blog from your FB update. Frankly I didn’t hear about Litabi earlier. Hoping your presence make this blog more charming. Waiting for your next post here. Cheers Rahul for reaching here through Facebook. This is a dynamic blog with good organic traffic and hope I’ll do my best to double its visitors. Its good to get your comment here Roahn, I’m pleased that you’ve read my intro post. Aha..Swadhin, I’m really delighted with your complimentary words, means a lot. So much inspiring words from you Bhargav, many thanks! I’m wondering that many bloggers are watching my performance in silent manner and also more confident on my work. I’ve no words to speak on it but I think that I need to improve myself a lot to satisfy the loyal readers like you. Nirmala All the best. This is going to be one of the best journeys of your life. I think that you all 3 are going to be a part of very popular blog. 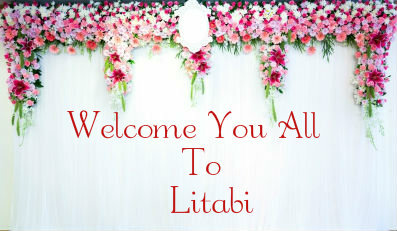 Litabi will be now regularly updated and am going to follow it. This I can call your step towards corporate blogging where blogging alone is a mad man idea. Though personal blogging is mostly done alone with outsourcing of a few chores but in big businesses team always has the lead role. I am much impressed to see the composition of your team and each member is the gem of online marketer with his own personal factor. I am foreseeing a big success of this blog because when three people get together for a cause their power equals to 111 people. My best wishes for your very success as you guys have already tasted the mouth-watering flavor of success and will not stay calm till you achieve it in this project also. Your kind wishes always means a lot for us to grow successfully. Yeah, team work with dedication will yield amazing results. Thanks everyone for your likes, comments and wishes! Hope to do something great this year and in coming years. Congrats to you all for this new venture. Wow, another blog to handle. You are very brave my dear even with the help of Atish and Zainil. Sounds like you all have this very well planned out so I’ll wish you the best with this one and I’m sure we’ll have a lot of great information to look forward to. Welcome Kevin, thanks for your comment.